4. 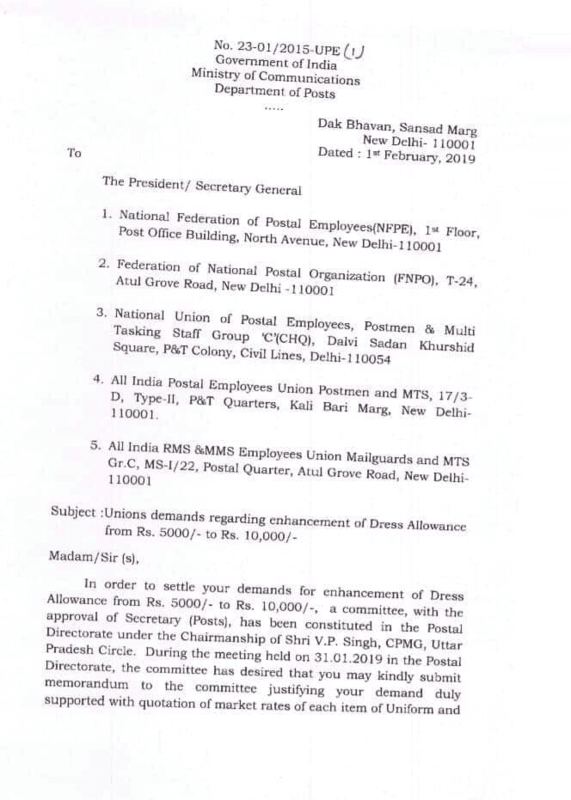 All India, Postal Employees Union Postmen and MTS 17/3-D Type-II, P&T Quarters, Kali Bari Marg, New Delhi – 110 001. 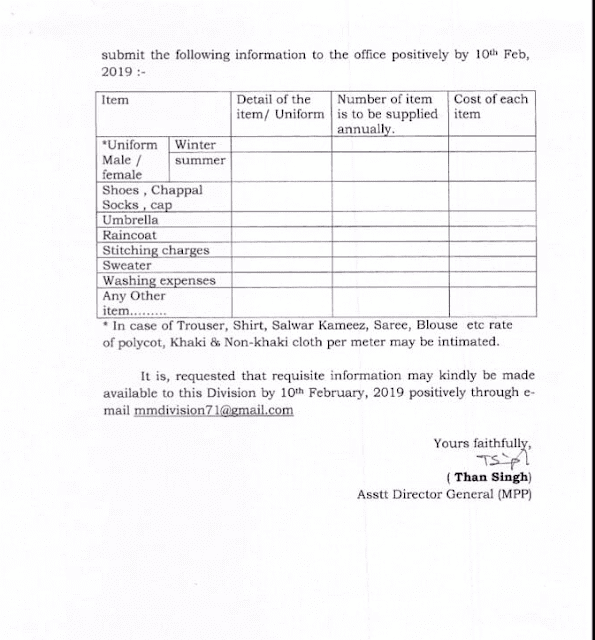 *In case of Trouser, Shirt, Salwar Kameez, Saree, Blouse etc rate of polycot, Khald & Non-khald cloth per meter may be intimated.